"With over 20 million visitors to Japan, and over 2 million foreigners living in Japan, the overseas population is becoming more important in both economic and recruitment aspects. Yet I feel that the recent communication service in Japan is unfavorable to those who does not speak or read Japanese. JP Mobile has been selling 200 thousand Inbound Data SIM cards per year, and has extensive experience in customer support for overseas customers. We have built multi-lingual customer support, and developed products targeting overseas students and workers in Japan. Also, we provide JR passes, transport tickets, activity tickets and insurance, so to make the overseas population’s stay easier in Japan. 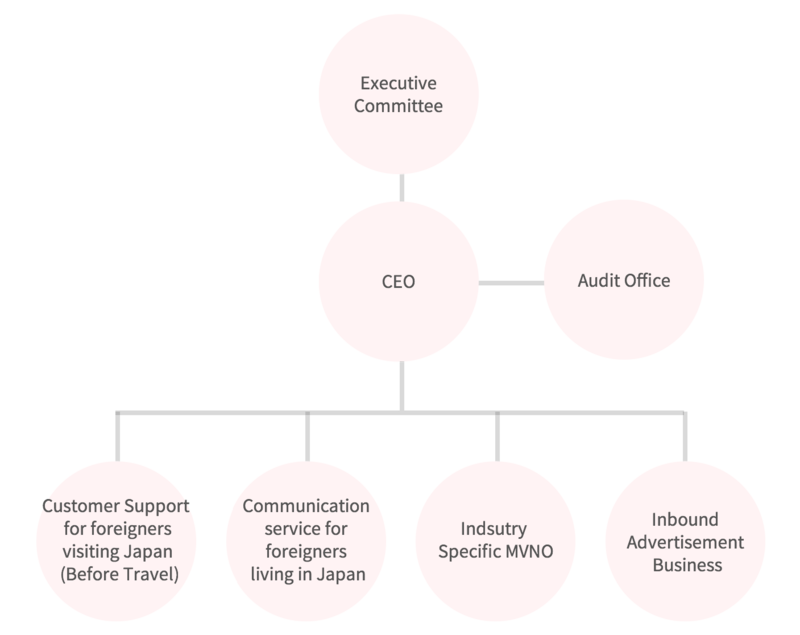 We aim to be the Number One in providing communication service to the overseas population in Japan, and we understand that connecting with friends and families at home is indispensable in all of our lives, so we will ensure best quality service to make your stay in Japan enjoyable." Mr. Sawada graduated from Rakuyo Technical High School in 1993 and started up his own mobile communication service business at the age of 21. In 2004 he set up ImageWorks Corporation and became CEO. In 2013 the company became the main representative of the Business Card Cloud Management Platform “Sansan”. In 2014 it became the main representative of “Baidu SIM”, the Prepaid SIM cards for Chinese visitors to Japan. Mr. Sawada set up and took the post as CEO of JP Mobile in October 2015. Mr. Lou came to Japan as a student in 1998, and entered Tokyo University in 1999, where he got his Degree and Masters in Engineering. In 2005 he joined the Tokyo office of McKinsey and Company, and participated in projects related to the strategy and operation of High Tech and Automobile Assembly Industry. In 2011 Mr. Lou joined DeNA (China), and engaged in launching Mobage’s Chinese (Simplified) and Chinese (Traditional) version. He was the manager for Marketing and Development at DeNA. In 2013, Mr. Lou joined Metaps, and became manager of the Greater China area, and became Operating Officer in late 2014. Mr. Lou joined JP Mobile in February 2016 as Chief Operating Officer. Mr. Zhou came to Japan as a student in 2009. In 2013, he set up the Taobao shop “Tokyo-no Bara-sono” and started running his own electronic commerce site. He started selling Japanese Pre-paid SIM on his online shop, and set up a mobile communication after-sales service centre for visitors to Japan. Mr. Zhou studied in the UK as part of the overseas study abroad program at Teikyo University. In March 2015, after graduating from Teikyo University, Mr. Zhou joined Xian-Jia International Trade (Shanghai) Ltd. He later bought the company in August 2015 and took the post as CEO. In September 2015, Mr. Zhou invested in JP Mobile’s Shanghai Corporation (Huan-Ri Business Trade (Shanghai) Co., Ltd.), and also became the Representative in Charge of Baidu SIM in Mainland China. He took up the post as Executive Officer of JP Mobile in February 2016. Mr. Fukui graduated from the Engineering Faculty of Rakuyo Technical High School in 1993. Then worked at an Advertising Agency (Recruitment department), and later as a salesman at a real estate developer. In 2004, he helped set up ImageWorks Corporation, and took up the post as Senior Managing Director. Main duties include internal management, as well as finance and accounting manager. In October 2015, Mr. Fukui helped set up JP Mobile Co., Ltd., and took up the post as director. Hong Kong Corporation：JP MOBILE COMM LIMITED. Launch a new service targeting long term residential foreigners in Japan named as "JP Smart SIM"